Your windows protect your home as well as let beautiful natural light inside. High-quality windows are durable and long-lasting, but they still need to be cared for. 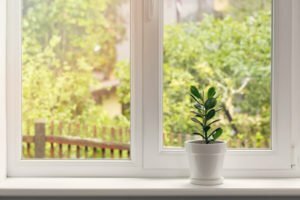 Here are some great tips to help you take care of your home windows all year long. One of the most important things you can do to take care of your residential windows is also the easiest: clean them often! If dirt and debris build up on your windows, especially in the tracks, they will wear much faster. It can even get more difficult over time to open and close them. Plus, no one likes looking at a dirty window. Wipe down the wooden or vinyl frames with a damp cloth and clean the glass with soapy water or glass cleaner on a regular basis. While you’re cleaning your home windows, you’re going to want to inspect them. Every season, you need to take a close look at your windows to see if they are in need of repair or replacement. Check for signs of moisture buildup, warped frames, peeling paint, gaps in the sealant, broken glass, and chips in the glass. 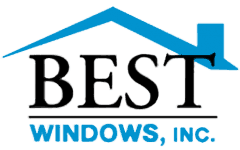 Even the best windows will wear over time, but the sooner you catch the issue, the sooner you can get it resolved. During your window inspection, you need to carefully inspect the sealant or caulking on your windows. If the sealant is broken, missing, or cracked, you should fix it right away because gaps in the sealant can cause a number of problems. Drafty windows that let air escape can increase your energy bills by 10% to 25%, so fixing the sealant will actually save you money in the long run. The paint or finish on your vinyl or wood frames doesn’t just make them look nice, but also protects the windows from getting damaged by nature’s elements. The sun’s ultraviolet rays can damage the finish and compromise the protection you depend on. Repaint and refinish the frames when you notice it’s peeling or otherwise damaged. Keep your home windows in mind while you’re performing regular maintenance on other parts of your house. Don’t forget to clean them, inspect them, reseal them, and refinish them when necessary. 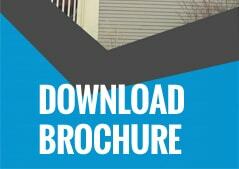 All of these tips can help you add years onto the lifespan of your home’s windows. Next Next post: Why Are My Energy Bills So High?